I had to do some repairing for Nokia N73 mobile phone. The problems were on some buttons and charging connector. 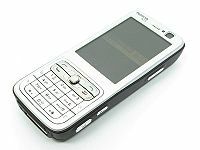 Mobile phones can be tricky to open and often use special component, which can make repairing sometime hard unless you know exactly what you do. N73 Assembly & Disassembly Video by Poojara Telecom Pvt. Ltd. (e-mobileguru) video revealed everything needed to know how to disassemble the phone, where the parts to be repaired are and how to finally assemble the phone. There were several videos on N73 disassembly, so I looked quickly several of them to make sure that the video I plan to follow is real and not any joke or something. Next I needed some tools. I already had some suitable tools for opening the phone ordered from Dealextreme. You really need this kind of tools made of plastic material to avoid scratching or otherwise damaging the mobile phone case. In addition to those I those I needed tweezers and a small torx screwdriver to do the dis-assembly. Then for actual repair I also needed a new charger connector which I found from KCL Finland for few Euros. The rest of the task was pretty straightforward task of following the instructions on the video. Phone got repaired. Some really nice and utilitarian info on this site, likewise I conceive the style has got great features. If my Nokia needs repair I send it to Fonefix (www.fonefix.co.uk). Rescued 2 of my devices over the years. You already know hence considerably in the matter of that topic, made me professionally consider the idea by a lot of many facets. Their such as women and men aren’t captivated unless of course it is something to complete using Lady coo! Your personal things superb. Everyday cope with it up! which includes tons of valuable data, thanks for providing such statistics. Thanks for sharing your solution. your information about mobile phone repairing is wonderful.